You are here: Home » About Us » Staff » Emily Porter, LCPC, Ph.D.
Dr. Emily Porter completed her undergraduate work at Utah State University. She then went on to achieve her Master in Counseling degree through Idaho State University (CACREP accredited), and her doctoral degree through the University of Northern Colorado (APA accredited). She also completed her pre-doctoral internship at Warm Springs Counseling Center and Training Institute in Boise, Idaho. Dr. Porter is now working on completing her post-doctoral training at Northwest Neurobehavioral Health. She currently holds a license as a Licensed Clinical Professional Counselor (LCPC). 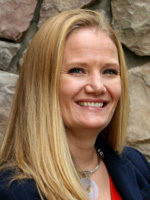 In the past, Dr. Porter has worked at an inpatient unit with client’s experiencing severe mental illness, children and their families in outpatient settings, participated in several settings and situations which goal was to increase family cohesion, happiness, and positive parenting skills. She has also cooperated and interacted with many other mental health professionals to meet clients’ needs. Throughout her training and experience, Dr. Porter has found a passion for working with children, parenting, and family interactions. Dr. Porter has focused her training and work on early childhood and development, parent-child interactions, and family therapy to assist in developing and providing an understanding into the child’s needs and a healthy environment for the children. She also works with client’s struggling with anxiety disorders, developmental delays and difficulties, trauma related struggles, and emotional dysregulation. She enjoys working with children and their families, and helping them identify their personal strengths to not only support their family involvement but will also increase the child’s ability to cope with life stressors and struggles.